Iain Ballantyne has written about the global activities of the Royal Navy for more than 20 years. He has spent time in most types of warship, from nuclear-powered submarines and aircraft carriers, to destroyers and frigates. He has sailed in minefields off war-torn Kuwait, witnessed embargo enforcement in the Adriatic and counter-terrorism sweeps in the Mediterranean. Iain has also voyaged into Arctic waters and accompanied Royal Marines on fast boat patrols off Hong Kong. He won an award for his action-packed depiction of the pursuit and destruction of Hitler’s flagship, as recounted in Killing the Bismarck. His most recent book Hunter Killers received wide recognition. 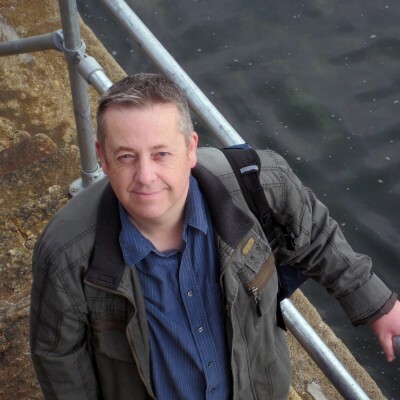 In 2017 Iain Ballantyne was awarded a Fellowship by the UK’s Maritime Foundation, one of its top annual awards, in recognition of his immense contribution to the maritime cause since 1990, as a journalist, author of naval history books and Editor of WARSHIPS International Fleet Review magazine.